Payday loans are taking over the market. 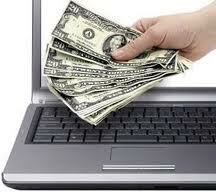 People in need of urgent cash turn towards payday advance thinking it is an easiest way to get instant cash. Little do they know that payday loans are a debt trap, which can further worsen your present situation if you are unable to repay the borrowed amount in time. Canadian government has made several laws in every state regarding the APR charged by payday lending companies to help people escape this deadly debt trap. Most of the payday loans are granted for a small time frame like 2 weeks to 4 weeks period. The borrower is bound to return the money along with the high interest rate charged on it as soon as he gets his next paycheck. During recent surveys done by Canadian government, more than 80% of people are living from paycheck to paycheck. In such a scenario, a person borrowing money from a payday lending company feels he would be able to pay back the amount with his next paycheck but he does not realize when he is living from paycheck to paycheck, paying more than half of his salary to lender will leave him with very little money to survive and meet his living expenses. A typical payday loan borrower pays more than $793 as interest fees over a loan of $325. This fees amount is to be paid in addition to the principal borrowed. A person ends up paying an APR of 390%. As you can see from the above example a borrower is paying back more than twice the original value of money just in fees. There are many other ways of borrowing when a person needs fast cash. Payday loans are not only expensive but they make it really difficult for people to escape the debt circle once they get into it. It is always advised to save certain amount every month so that such situations can be easily handled. As per latest reviews, most of the people choosing payday loan doesn’t have enough funds in their banks to survive financially even for two months in case they lose their jobs or source of income. There are thousands of people in every state of Canada that are stuck in this debt circle. Most of them want to come out of it but they can’t because their salaries are low which makes it difficult for them to repay the amount completely. This often results in bankruptcy for people trapped in this payday loan circle. Also financial counseling or other programs that are started by various companies help people to leave this trap not to mention the high cost associated with counseling programs too. If you don’t want to be stuck in this trap and lose your mind and peace over repaying your payday loan then you must take a look at the below mentioned ways through which you can borrow money but stay away from high rates of interests. If you don’t have enough money in a particular month to make a payment to your creditor, you must call them and discuss your situation with them. If you have been paying your previous installments in time or have been a good customer then they will definitely extend your due date to a few days and that you without a late fee. Even phone and utility service people can be called regarding late payment of bills. It is of course better than taking payday loan because here you are not paying any interest rate but still getting enough time at hand to pay your bills. If you pay your bills in the start of the month then you will have the idea of money in hand. If you think it is not enough to pay your monthly expenses then look for a part time job or work overtime at your present office. Working overtime for a week or two can solve your problem and can save you from falling into payday debt trap. If you have a talent or skill that can get you some money then extend your services. If you have to reach home at a certain time, then you can look out for online jobs. There are several companies that hire freelancers for different type of works. You can search for job openings in your skill set and can earn extra income. Ask a friend or colleague if they know any place that has a part time opening, most Coles, petrol stations, eating joints are always hiring people to work. They will give you training for 3 days to a week before you start working for them. If is essential to tell your employer about your problem before asking the payday advance. Of course it is same as taking a payday loan except for the fact that you won’t be paying high interest fees associated with it. You can talk to human resource on getting your next payday check in advance. Some employers give out advance loans that will either be deducted from their upcoming salaries over multiple periods or have to be paid back by the borrower in a similar fashion. Such options will not rob you of your next paycheck but you will have a small set part of income dedicated to repayment of your loaned amount. There are many people who are willing to but second hand stuff in good condition. If you have watch, shoes, designer clothes or even bags that are in good condition then you can sell them online. Even old furniture or vehicle that you don’t need any more can be sold online. There are several websites like eBay or Craigslist are good one to start with. You can even post pictures and details about your products that will make it easier for the customers to decide and contact you for the same. You can even have a garage sale or pawn your expensive gold items to a lender and get instant cash for it. Having more money withdrawn from paycheck to get a better tax refund is not a good idea when you are finding it difficult to meet your financial expenses. Use tax withholding calculator on IRS’ website to calculate how much money should be withheld as tax from your checks. Ensure that you are not getting sufficient taxes withheld; or else you will owe high tax amounts by next April. Today everyone has a mobile phone, if you can contact your family on mobile then you can disconnect home phone because it will uselessly add to your monthly expenditure. Also if you have less money during a particular month try and take metro to work and save on petrol cost to compensate for it. Reducing unwanted bills will help you save money every month. There are many local organizations that will loan you money to help you. You can contact your local human resource department to learn if there are any urgent assistance programs in your suburb. Humanitarian organizations and local churches can also be contacted for help. Friends and family are always there for help. If you make them aware of your situation and give them surety about repaying the money in time, they will certainly help you. It is advised to return the money in decided time because it can harm your relationship with family. Family and friends can be further used for help in future only if you repay the borrowed amount in time. Of course they don’t charge you with any interest amount but if family relations are strained, it is even worse than owning a payday lending company. You can even ask your colleague at work to lend you some money if you have good relations with any. Of course many of us face situations in life when urgent cash is needed so a colleague can look up to you in future if he would be in a similar situation. If you are getting your paycheck in your bank account regularly and have maintained a steady flow of income in bank then you may have already qualified for a personal loan. A personal loan is granted based on your monthly income. If you are not pre qualified by your bank that doesn’t mean that you cannot get personal loan. In such a case you can file an application for a personal loan in your bank and they will look at your documents. If you meet their required criteria then you can get loan sanctioned in a matter of days. The personal loan comes with an interest rate but it is far less than the interest rate charged by payday lending companies. Credit card advances are expensive, but if shop for less fees and better interest rates then it can be less expensive than the payday loans. Paying $793 as fees in payday loan can be really difficult. You may have to do two jobs. Of course you get a time period on credit cash advance where you are not charged any extra fees if you pay it back on time but if you fail to pay it then the interest rates are really high so you should be careful while taking credit card cash advance. If you are not able to make credit card payments every month then a consumer credit counselor can assist you in reducing your monthly payments to a convenient level. It is essential to seek counseling early so that you can protect you credit rating and before falling in a debt trap. Credit counseling has several benefits; it can help you keep your accounts in control. The counselor will advise you how to keep your expenditure in hand. Most of the banks offer overdraft plan to its customers that pays for overdraft things with a line of credit. You can talk about the overdraft limit to the bank representative about using this kind of service. This is a good alternative to getting charged for insufficient funds and bouncing checks and overdraft fees. This is possible only if you have created an emergency fund. No matter how small is your salary it is important to create an emergency fund that you can use when you will have no money or will be in need of urgent cash? Even a small amount every month can be helpful in case of such urgencies. It is also important that you add this money back into your funds so that you can use it during future emergencies. The above mentioned ways are helpful alternatives to payday loans. Going to friends and colleagues may be embarrassing at first but think about high APR of payday loans. The high rates of interest attached to payday loans even make it difficult for the rich people to pay it back. Thus such loans are not meant for normal people living from pay check to paycheck. It is important that you take a wise decision and think before you choose pay day loans. Payday loans are touching sky high interest rates these days. These lending companies give several offers and attract customers for payday loans. Some people who are not eligible for bank loans mostly prefer payday loans because they get it easily without many formalities.